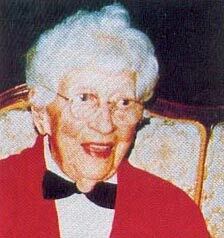 Ethel May Punshon - Monte to her friends - became famous in the late 1980s as the 'world's oldest lesbian. This was almost certainly true; but her life was about much more than that. Born in 1882 to respectable folk in Ballarat, she chose an unconventional life from a young age. Against her father's wishes she got involved with the world of theatre, teaching child actors. On a visit to Japan in 1929, she fell in love with the people and the culture and learnt the language. During World War 2 she worked at the Tatura concentration camp for Japanese civilians trapped here by the outbreak of war. Such was her kindness during those terrible times and in recognition of her commitment to the cause of international understanding over many years the Japanese government elevated her at the age of 105 to national treasure status. Monte's sexuality was an important part of her life and she never concealed it from friends. She once declared that she had always preferred the company of women in her intimate life or at least from the age of six when she became instinctively aware, as she put it, of her desires. The great love of her life was, as is often the case, her first: Debbie. They were introduced in 1910 and experienced an immediate, mutual and very great mental and physical attraction. They spent more and more time in each other's company, eventually taking a house-together in Glenhuntly Road. They were inseparable, happy to spend most of their time together, selecting social occasions carefully, nervous not of being found out, but of the temptation of outside attractions. Her family were struck by the closeness of the relationship with Debbie, but whether they ever really twigged to its passionate nature is not clear - certainly 'homosexuality' was never mentioned. It is not surprising, then, that she never quite got over Debbie's leaving her after twelve years together. For most of Monte's life a picture of Debbie, slender and delicately beautiful, hung over her bed. That Debbie died two years later simply added to her grief. Her misery was alleviated somewhat by her circle of camp men friends (her 'homosexual boyfriends' she called them) who rallied to her, drawing her into a flurry of activities. She dabbled in radio - then an exciting new technology. 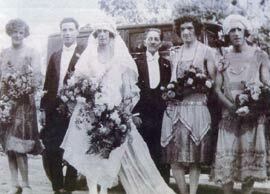 And there are photos of Monte and her chums - all cross-dressing - celebrating a camp wedding. Indication that there were good times in her life as well. In 1985, at the age of 103, Monte was interviewed by a Melbourne gay magazine, openly discussing her life, her sexuality and her relationship with Debbie. 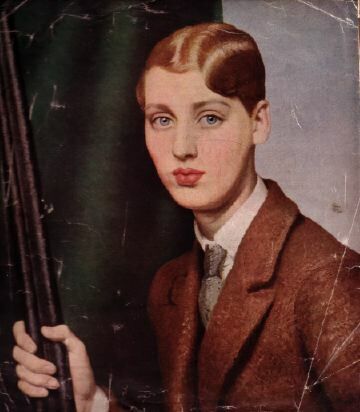 She was sceptical about the gay scene that she saw around her: 'drab, grey, empty' she said once - and many of the women in the discotheques were not, she thought, 'true lesbians' but rather women experimenting. Be that as it may, her advice to the young: 'Cast out fear. Look forward and have a goal. There are so many new and wonderful things to discover in life', speaks to us still of a life well lived.